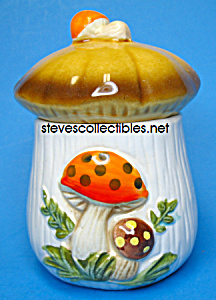 Groovy set of wonderful glossy mushroom pottery Creamer & Sugar. Unmarked. Sugar measures: 4 1/2" tall. Great shape without damage or problems.